To ensure your septic tank functions efficiently, you must take care to protect it from damage. The professionals at Wilson & Roy Construction in Nancy, KY, have provided reliable septic tank installation for over 50 years, and they understand how routine maintenance and awareness will prevent problems with your septic system. Avoid putting anything heavy in the area of your yard where the septic tank is installed. This will prevent pipe damage that can ruin the effectiveness of the drain field. Don’t put nonbiodegradable products through your plumbing. Items like feminine hygiene products, cigarette butts, and paint or automobile fluids should be disposed of by other methods. 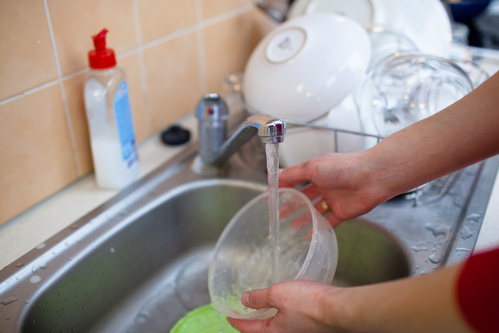 A garbage disposal is convenient for household use but could strain your septic tank if it malfunctions. If it clogs the drain, you’ll waste more water. Your septic tank can handle only a certain amount of water at a time, so it's important to conserve it. Small things like not letting the water run when you’re washing dishes and washing only full loads of laundry will make a difference. Purchase environmentally friendly cleaning solutions and septic-safe toilet paper that will break down more easily in your tank than conventional products. Keep the area around your tank free of shrubs and trees. The roots of these plants can reach your septic system pipes and cause damage. Hire a specialist to pump and clean your septic tank every 1-5 years, depending on the size of your tank and number of people in your household. To learn more about the best septic tank practices, contact Wilson & Roy Construction. They offer installation of new septic tanks and a variety of other services and products, including trenching and concrete water tanks. Visit their website to learn more about their septic tank services, and call (606) 636-6457 to speak with an expert.